New hip hop idol group�BIGFLO�are making their debut later this month! 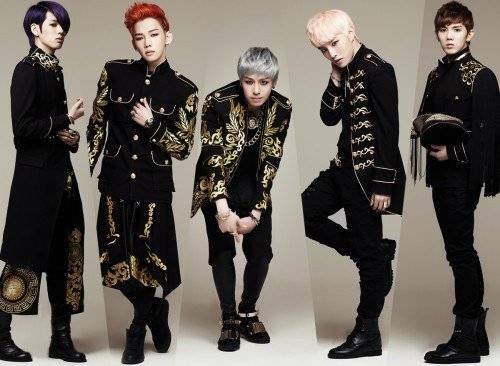 BIGFLO ('Big + Flow') is a five-member boy group consisting of Jungkyun, Ron, Yoosung, Jiwook, and High Top. Leader Jungkyun took part in composing, writing, and arranging the album as BIGFLO's main producer, and maknae High Top was also active as an underground rapper prior to his upcoming debut. Their agency H.O. Company rep stated, "As the BIGFLO members took part in producing [their debut album], they are a team with outstanding talent. They will introduce themselves to the public through this album, so they put their all into working on the album. We ask that you show a lot of interest and anticipation for BIGFLO who will make their official debut." Get ready for BIGFLO's debut with their first mini-album later this month!